The result then, as now, would be a rare look at the rock formations that lie beneath the American Falls and Bridal Veil Falls on the United States side of the tourist draw, and perhaps an even more robust Canadian Horseshoe Falls, where 85 per cent of the water flows over normally. Together, the three waterfalls fed by the Niagara River along the northern border comprise Niagara Falls. 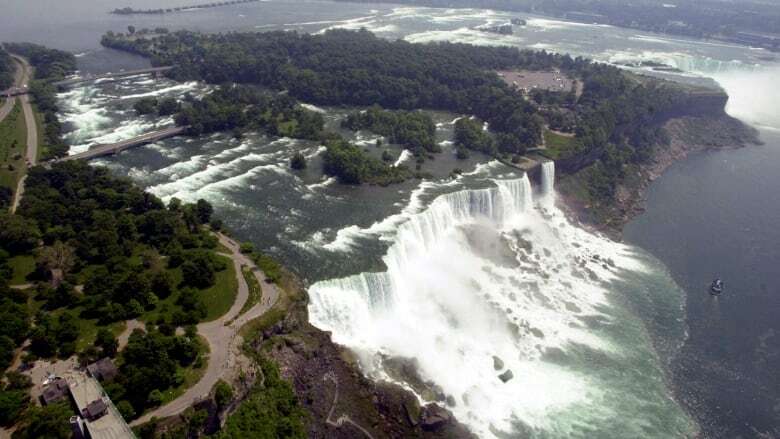 "Dewatering is expected initially (to) be a tourism draw (a once-in-a-lifetime opportunity to see the falls and river channel without water)," said a state-issued design report. It acknowledged the novelty could wear off in time and hurt park attendance. "People were astounded at the site and the lack of the sound," Gromosiak said Monday. "Those who had been there before missed the sound of the falls, not just the beauty but the sound." "When you take something so impressive, so mesmerizing and affect it in such a significant way," he said, "to me, it just destroys the impact it should have."